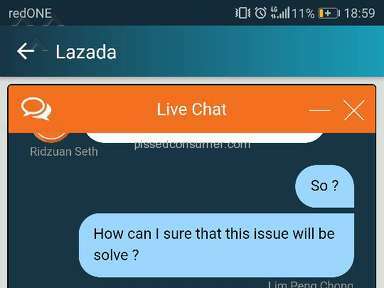 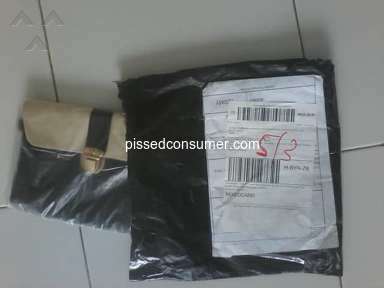 Next review Lazada Malaysia - Bad courier!! 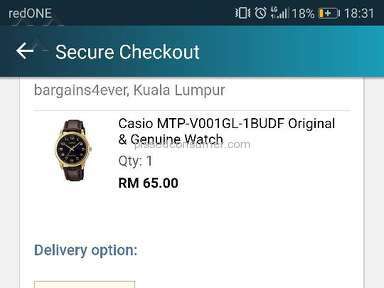 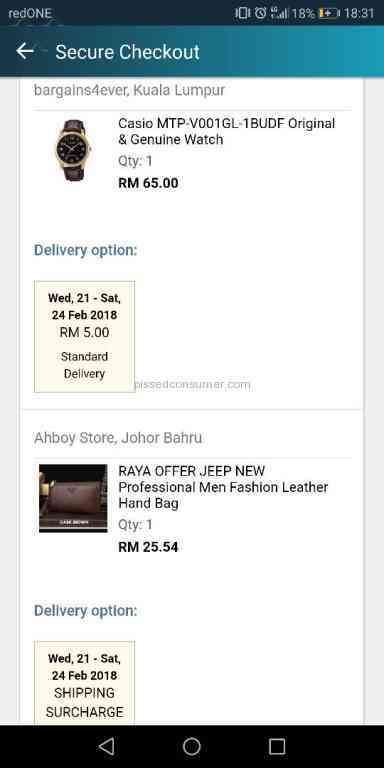 The postage shown and charged was different and I contact Lazada live chat. 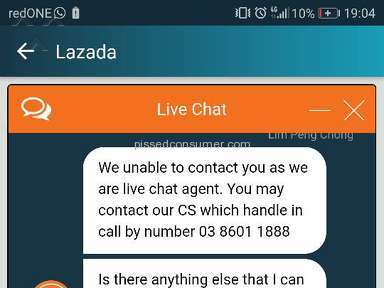 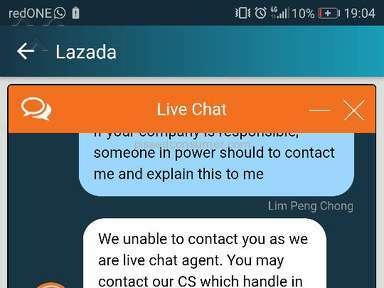 The agent named Ridzhuan cut off my chat when I tried to express my will in getting my own rights as a customer. 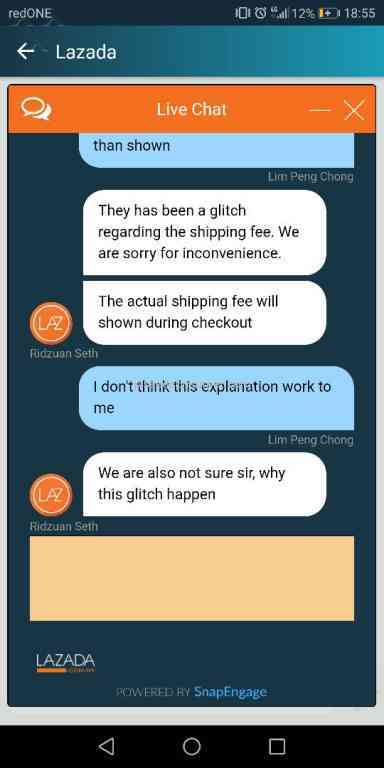 Related: Lazada Malaysia - No update on default shipping address and irresponsible customer care. 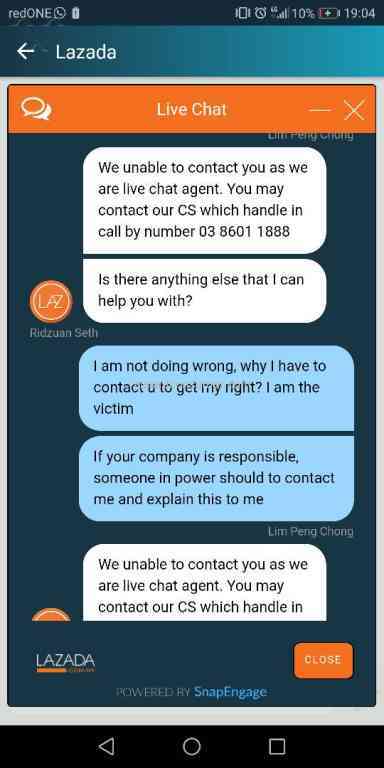 This action was considered rude and irresponsible. 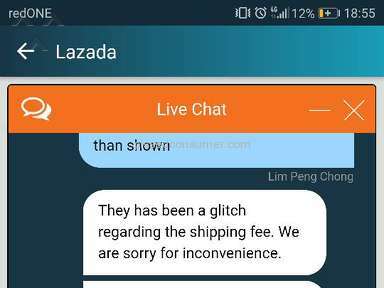 I hope Lazada will give an explanation here and contacted me via phone regarding this issue. 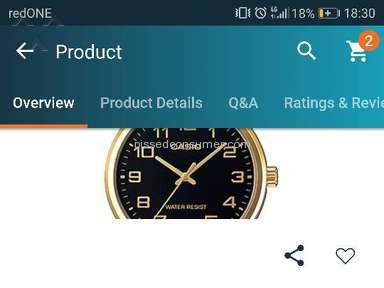 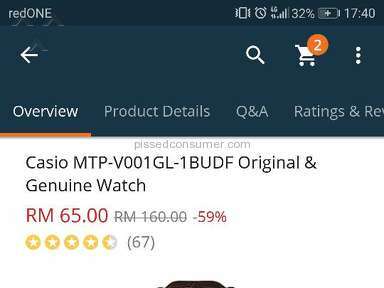 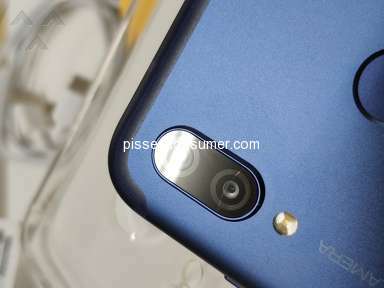 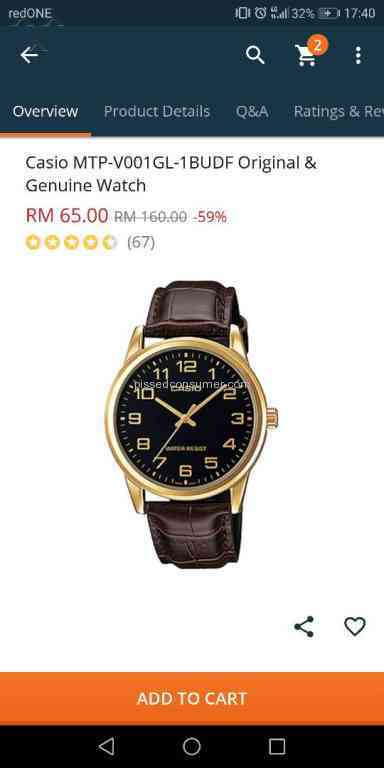 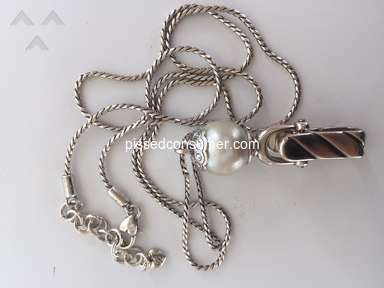 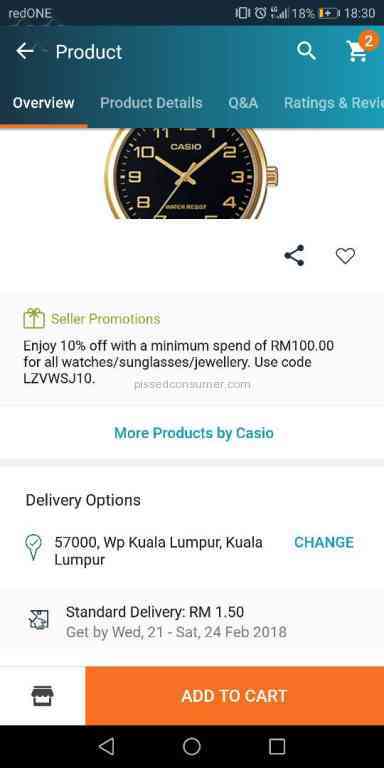 Product or Service Mentioned: Lazada Malaysia Shipping Service. 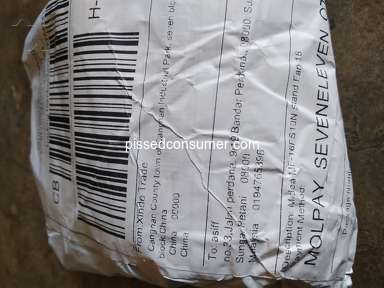 Review #1190178 is a subjective opinion of pclim0121_70. 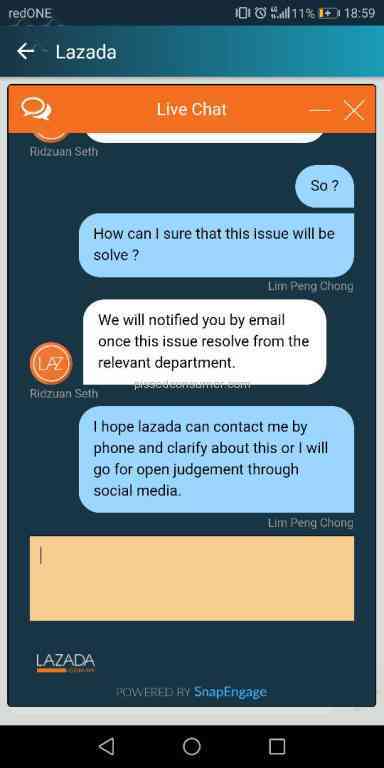 We are truly sorry that we have given that impression to you. 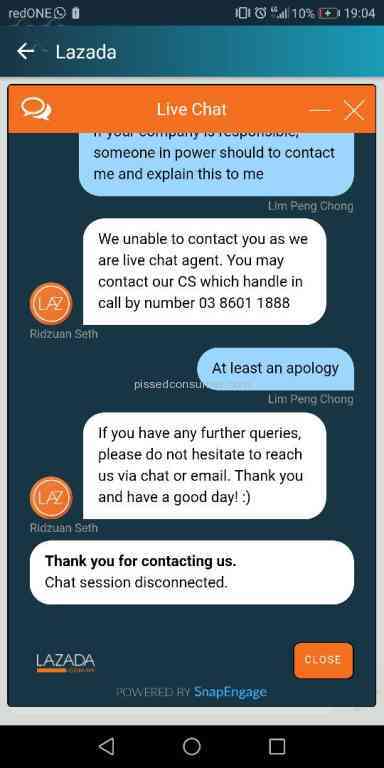 Please provide us with below information to allow us assisting you further. 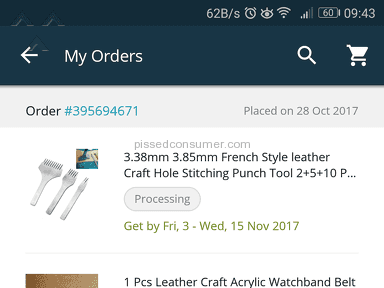 Once we receive information from you and successfully retrieve all the necessary details regarding your order from our system, we will contact you.